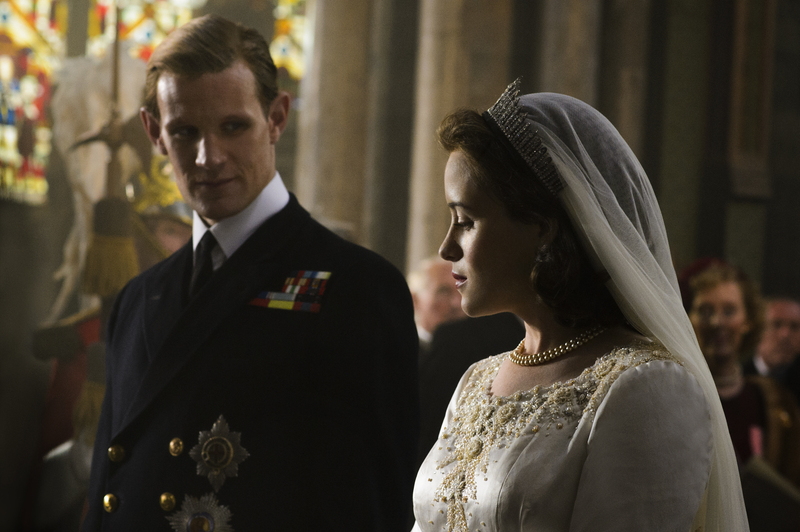 Creative world building give "The Crown," "Stranger Things," "Westworld," "A Series of Unfortunate Events," and "Hairspray Live!" a distinct Emmy advantage. Retro vibes underscore the remarkable production design work on “The Crown,” “Stranger Things,” “Westworld,” “A Series of Unfortunate Events,” and “Hairspray Live!,” which all share the same goal: to humanize their worlds with imagination and relatability. In “The Crown,” Queen Elizabeth II (Claire Foy) endures a rite of passage inside and outside the palace that offers personal and political challenges; In “Stranger Things,” ’80s suburbia contains a mirror-image dark side. In “Westworld,” the allure of a western adult theme park cracks open violence and hate. 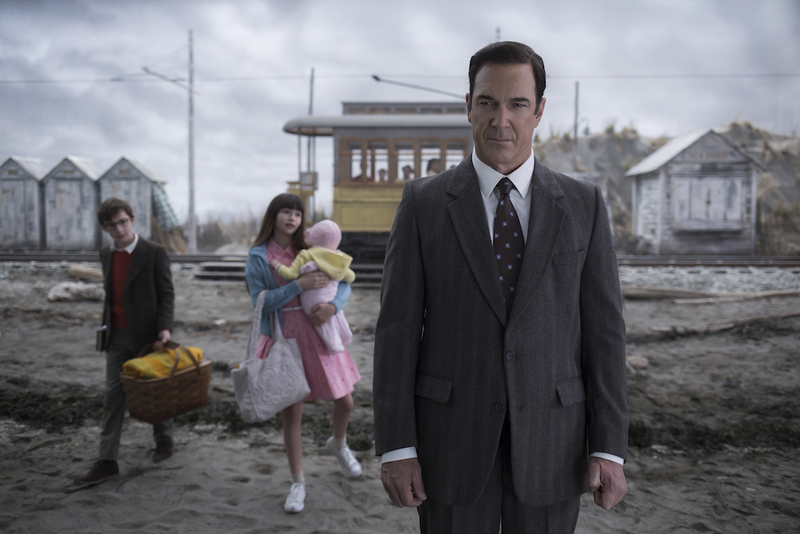 In “A Series of Unfortunate Events,” three orphan children persevere despite being passed around from one bizarre home to another. And in “Hairspray Live!,” idealistic Tracy Turnblad (Maddie Baillio) upends segregated Baltimore by winning a dance contest. Oscar-winning production designer Martin Childs (“Shakespeare in Love”) utilized showrunner Peter Morgan’s sense of dramatic movement and sharp dialogue to make the private world of Queen Elizabeth II more intimate. Although he couldn’t use Westminster Abbey for the wedding and coronation, Childs made great use of Ely Cathedral. However, for the frugal wedding in 1947, Childs strayed a bit historically so it wouldn’t look too cheap to viewers, especially since this was part of the much anticipated Episode One kick-off. So he played right into Ely’s grandeur and scale and didn’t disappoint in dressing it up. “I took it as an opportunity to create a jewel within that ashen world,” he said. By contrast, Winston Churchill (John Lithgow) returns as Prime Minister after a six-year absence, with the challenge of being perceived as too old. Because of frugality, Childs was forced to rearrange a room at Elstree Studios to serve as different parts of Churchill’s Downing Street office. This meant sectioning it off or using it to its full. symmetrical potential, as in a scene at the end of Episode Four about the catastrophic London smog. While Churchill recounts his audience with the Queen, Childs decorated the room with photos from his past to give it a melancholy, monochrome feel. Steven Spielberg (“E.T.”) meets Stephen King (“Stand by Me”) in the Duffer Brothers’ sci-fi horror tale that authentically recaptures the look and feel of the ’80s — a simpler time when kids played “Dungeons and Dragons” together rather than texting. For production designer Chris Trujillo, it was convenient shooting in Atlanta because of the array of mid-century suburban neighborhoods. All he had to do was remove some cars and satellite dishes and you had a good approximation of the period. “We weren’t making a slick, glossy version of the ’80s, but, rather, a gritty, textural feeling that are lost in high-definition movie-making these days,” said Trujillo, who studied interior design magazines and watched lots of Amblin movies. For the central Byers house, Trujillo utilized the same set for real-world and Upside Down environments. It was quite a dance, though, dressing and redressing it. They spent lot of time working out the science of the Upside Down. “Essentially, at the moment that the rift was formed and interacted the monster, this dark dimension overlaps with the Hawkins’ world and it gets inflected with the vines and the spores,” he said. Production designer Nathan Crowley got to create two contrasting worlds for Jonathan Nolan’s dystopian update of the Michael Crichton sci-fi movie. The slick western town adult theme park and the cold AI futurism of the programming center where the androids are created. “You’re working in the realm of anything’s possible because it’s all manufactured,” said Crowley, who worked on the pilot. For the western town, they extended the set at Melody Ranch (the old studio run by the late cowboy star Gene Autry) in Santa Clarita. 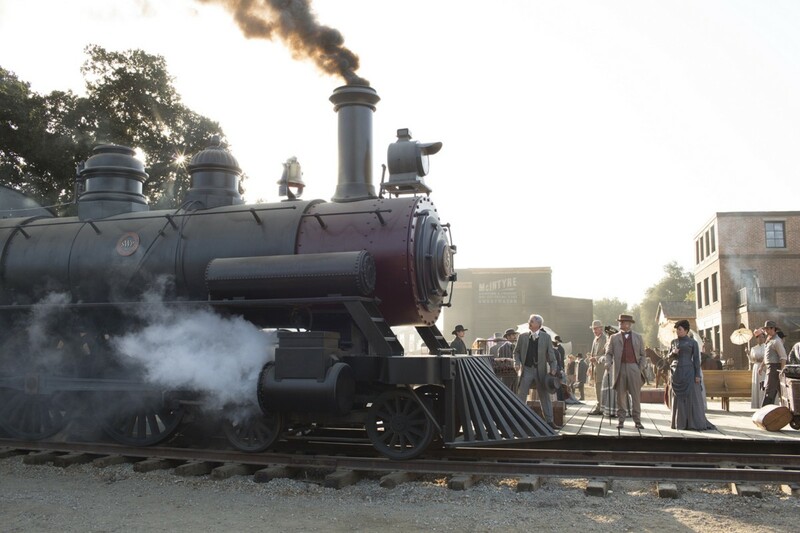 Crowley wanted an old-town look with a train running through the middle of the town, so they brought a locomotive to Main Street and enhanced the environment with a physical build, and set green screens in front of parking lots to composite gorgeous Utah footage behind the town. For the multi-level programming center, Crowley wanted to strip it down and make it as soulless and simplistic as possible. He used the Pacific Design Center as inspiration for its concrete and glass and nice reflective qualities. “If I could get the scope of this space, I could make it fit within this version of a cold, modernist design. And within that, to isolate the characters, who are mostly naked, within these black boxes reminiscent of a photographic studio,” he said. Director Barry Sonnenfeld’s re-imagining of the children’s novel series instinctively addressed the look as dreary and creepy on the surface but charmingly idealistic and cheerful when filtered through the eyes of the Baudelaire children. “They maintain this attitude that only young people have where they persevere, they use their smarts, and they survive onto the next horrible adventure in the midst of a bunch of moronic adults,” said production designer Bo Welch, who’s directing episodes as well. For the brighter house of Uncle Monty (Asif Mandvi), an enthusiastic herpetologist, Welch went for a two-story box that’s attached to a much larger green house in the back. “His true passion overwhelms his house, and all the motifs are driven by reptiles,” he said. There’s even snake wallpaper, which they designed and made in-house and printed out. The fourth NBC live musical (adapted from the Broadway show, inspired by the John Waters’ cult classic) opened up the telecast by incorporating part of the Universal backlot. 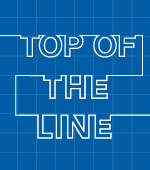 This made the viewing experience more dynamic, but it still posed a logistical challenge. “We were limited to the smallest, scrappiest part of the backlot and we weren’t close to the soundstage that we used,” said production designer Derek McLane. This required crafty timing to shuttle actors during transitions and figuring out which sets were closest to the doors. But it dictated a certain amount of realism to the outdoor scenes on the backlot, since this was a somewhat gritty-looking Baltimore in 1962. And matching the indoor and outdoor styles became important in conveying a continuous environment.